Window cleaning is usually a tricky and time consuming chore so why not delegate it to our skilled cleaners? 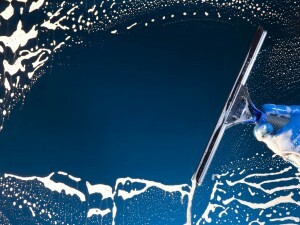 Our Liverpool window cleaning service is fast, efficient and inexpensive. It is available to private and business customers so we can take care of your home, as well as your workplace or commercial establishment. We are punctual, reliable and convenient – window cleaning can be booked for any day of the week, as well as public holidays, under flexible hours which work for you. Offices, eateries and other commercial establishments should definitely take advantage of our fixed schedule window cleaning option. We will save you time, effort and a ton of unnecessary hassles. You get to choose the frequency and scheduling of cleaning visits so there are minimum disruptions to your daily business. 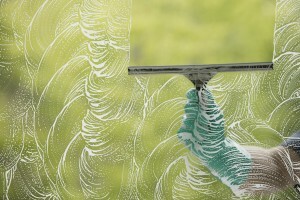 Need to have your home or rental’s windows cleaned so the place looks fresh and more presentable? No worries, our professional window cleaning in Liveprool is also available to private customers. It is convenient and inexpensive – just the way you need it. Again, service can be booked seven days a week, under flexible hours. Our window cleaners are skilled and experienced. Not that window cleaning is an overly complex chore, but it does take a decent amount of elbow grease and some time to do properly. Our cleaners will have the job wrapped up as quickly as possible, without too much fuss or unnecessary disturbance. As always, we strive to provide customers with optimal results without compromise. This is achieved by use and application of industry grade cleaning products and equipment. This also reduces cleaning time, and minimises resource and water waste. Good news for the environment, and your wallet. For best results and minimum cleaning duration, we recommend having the service carried out in fair weather (if possible), especially when it comes to cleaning windows on the outside. Please be advised that awkwardly situated windows, or windows too high off the ground will not be subject to cleaning as doing so might risk potential injury to our cleaners. Window cleaning can be requested in combination with any of our other services for extra coverage and more value for money. Any additional/specific requirements will be taken into consideration so inform our consultants of any essentials and additional information. The cleaners can work unattended when no one is present at the property, however key pickup and drop off arrangements will have to be made prior. We believe our Liverpool cleaning service is fair priced and will not be a problem for your home or office budget. Each customer is quoted individually so that we can offer the most accurate estimate given the actual specs of the job. Set cleaning visits can be rescheduled so long as we are given sufficient prior notice. For more information and details, please speak to our consultants and don’t forget to ask about our sofa cleaning prices.